The world’s leading supplier of mobile phones and accessories, Nokia has recently announced the release of two latest stereo handsets, named as WH-700 and WH-600, aiming to deliver a superb stereo sound without compromising on comfort and style. Besides, these new headsets from Nokia will incorporate a special feature which able to manage incoming call smartly while listening musics. In simply words, this special feature can automatically stop the music when an incoming call comes and playback the music automatically once the call is over. It’s a very cool and convenient function. The new WH-700 headset fits in the ear with the options of three different ear cups and the WH-600 is a headband style headset. 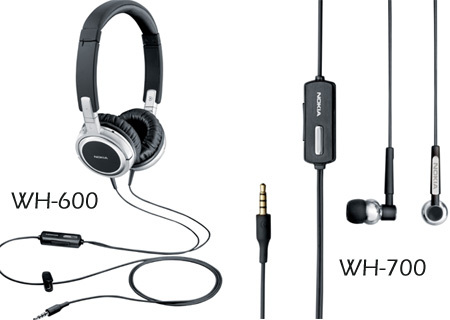 Both of the Nokia WH-700 and WH-600 Stereo Headsets will be available worldwide in coming January 2008. The latest WH-600 Nokia Stereo Headset will cost about $100 while the WH-700 Stereo Headset will cost around $75.